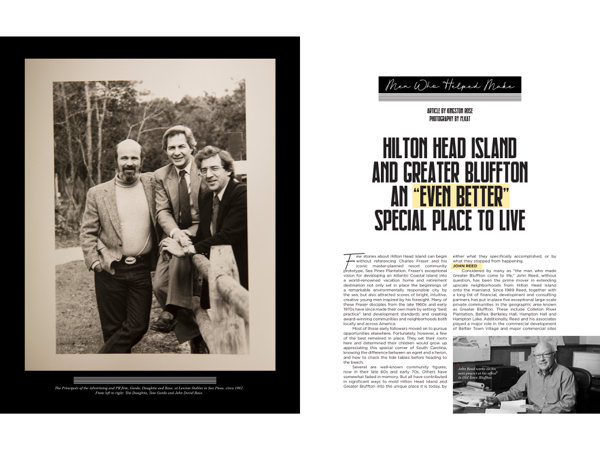 Few stories about Hilton Head Island can begin without referencing Charles Fraser and his iconic master-planned resort community prototype, Sea Pines Plantation. Fraser’s exceptional vision for developing an Atlantic Coastal island into a world-renowned vacation home and retirement destination not only set in place the beginnings of a remarkable environmentally responsible city by the sea, but also attracted scores of bright, intuitive, creative young men inspired by his foresight. Many of these Fraser disciples from the late 1960s and early 1970s have since made their own mark by setting “best practice” land development standards and creating award-winning communities and neighborhoods both locally and across America. Most of those early followers moved on to pursue opportunities elsewhere. Fortunately, however, a few of the best remained in place. They set their roots here and determined their children would grow up appreciating this special corner of South Carolina, knowing the difference between an egret and a heron, and how to check the tide tables before heading to the beach. Several are well-known community figures, now in their late 60s and early 70s. Others have somewhat faded in memory. But all have contributed in significant ways to mold Hilton Head Island and Greater Bluffton into the unique place it is today, by either what they specifically accomplished, or by what they stopped from happening. Considered by many as “the man who made Greater Bluffton come to life,” John Reed, without question, has been the prime mover in extending upscale neighborhoods from Hilton Head Island onto the mainland. Since 1989 Reed, together with a long list of financial, development and consulting partners, has put in place five exceptional large-scale private communities in the geographic area known as Greater Bluffton. These include Colleton River Plantation, Belfair, Berkeley Hall, Hampton Hall and Hampton Lake. Additionally, Reed and his associates played a major role in the commercial development of Belfair Town Village and major commercial sites along Buckwalter Parkway including Berkeley Place and Buckwalter Place. And still, while having turned CEO control of The Reed Group to his son Pratt earlier this year, Reed continues to keep his hand in shaping the Greater Bluffton area with new projects in The Argent Tract and other places. 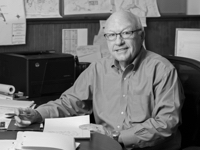 Spring Island co-founder Jim Chaffin, one of Fraser’s senior Sea Pines executives and most ardent disciples, also hired Reed as a young 22-year-old sales rep in 1972. And he sees a number of comparisons among the two influential developers. Working hard has never been an issue for Reed. Son of a small dairy farmer in Franklin, Tennessee, he remembers only too well the days of his youth, getting up in the dark at 4:30 each morning to milk cows and then returning after school each afternoon at 4:30 to milk them again. “The importance of keeping busy was instilled in us boys early on,” Reed said. Reed also had of gift of sensing and grabbing onto market trends. He witnessed the enormous success David Ames and his partners were having with Long Cove Club on Hilton Head Island in the late 1980s and realized there would be continued high demand among upper-income Hilton Head vacationers for re-settling in this area to build retirement homes within inclusive, master-planned, upscale country club-style communities, which would highlight golf courses built by celebrated golf architects. Reed teamed up with a new acquaintance, John Cardamone, who had some financial relationships and community-building skills, and the two attempted to purchase land owned by Greenwood Development near Hilton Head Island’s north end (now known as Palmetto Hall). But Greenwood’s executives resisted because of their own need to create more golf courses to meet the escalating demand. “Nonetheless, we were really certain that demand was great enough to go off-island and that upscale golfers would follow if we could find the right piece of land for the right price as well as a great golf course architect,” Reed said. Everything fell in place with Colleton River Plantation. With the help of David Everett, Peter Millichap, Thad King and Johnny Ussery, Reed and Cardamone discovered a magnificent piece of land facing the pristine Colleton River that leads to Port Royal Sound. It was priced to sell, largely because it has no natural access to Highway 278. But once the access issue was solved, Reed’s team was able to entice Jack Nicklaus to build the first golf course, and the buyers did line up to follow. In 1993, when Golf Digest awarded the Nicklaus Golf Course at Colleton River best new private course in America, a new trend took root. Belfair, Berkeley Hall and Hampton Hall quickly followed. Homebuyers liked what they found, and a new look for Greater Bluffton’s pine and oak-covered countryside had been established. Quite frankly, not enough can be said about what John Reed has done for Greater Bluffton since 1989—not just for fearlessly taking huge risks to build exceptional planned communities and provide for new commercial developments, but for igniting the region’s economy for generations to come with many thousands of new residents and new jobs. It has been estimated that Reed’s projects both residential, recreational and commercial have totaled more than $2 billion for the area’s economy over the past 30 years. 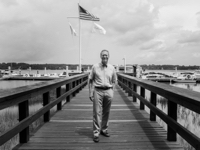 Initially a partner with John Reed at Colleton River Plantation and the early years of Belfair, John Cardamone sought his own path in the Greater Bluffton area and has since become recognized as the prime mover of middle income workforce housing in the area. 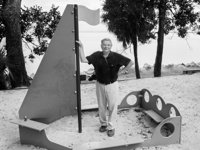 An experienced homebuilder, Cardamone didn’t have Fraser roots, but came to southern Beaufort County from Alcoa Properties, where he had spent nearly 10 years creating the Dataw Island community near Beaufort. Cardamone was among the first to recognize that with the growing tourism market plus all the new construction going on for private golf club communities and the influx of retirees to communities like Del Webb’s Sun City, there also needed to be quality-construction, single-family housing built for middle-income working people. Cardamone got his feet wet with a 130-homesite pocket-neighborhood adjacent to Colleton River called Sawmill Forest. With its modest success, he launched into establishing his Village Park Home Company and Craftbuilt Homes, which resulted in a slew of affordable neighborhoods across Bluffton including Woodbridge, Sandy Point, Arborwood, The Willows, Barton’s Run, Lawton Station, Alston Park and others. Altogether Cardamone has been responsible for 22 communities and more than 10,000 homes in the immediate area plus further south in Pooler and Brunswick, Georgia with more to come. All are family-friendly with bikeways, parks and playgrounds. David Ames has been taking initiative to improve the quality of life on Hilton Head Island virtually since the first day he arrived to join Charles Fraser’s Sea Pines Company in 1973. Ames was fresh from the academic world, where he earned his master’s degree in architecture from the University of Pennsylvania, following undergraduate work at Princeton. He remembers the early Fraser years as an incredible learning experience as well, which took him from northern Florida (Amelia Island Plantation) to Charleston (Kiawah Island) and back to Hilton Head Island, where he focused on Hilton Head Plantation. Now a Hilton Head Town Councilman, Ames is best known for the days which followed his Sea Pines learning experience, when he launched Long Cove Club in 1980 with partners Joe Webster and Wes Wilhelm. Long Cove was the first private “bundled” golf community in the region. The trio had recognized that while Sea Pines had established a new type of master-planned resort and residential community, it had also whetted the appetite among certain residents for something slightly different: a private residential club community where all property owners were club members and all club members were property owners, and vacationers were not allowed. 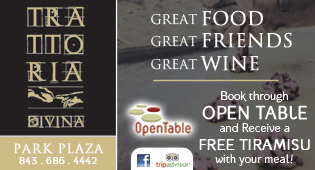 The concept became an instant marketing success. The homesites were sold out within months. 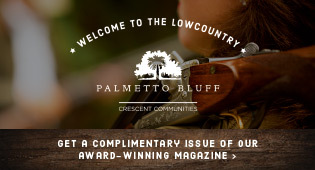 Long Cove became its own model for several “next generation” communities in Greater Bluffton—specifically Colleton River, Belfair and Berkeley Hall as well as Indigo Run and Palmetto Hall on Hilton Head Island. A testament to Ames’ passion for the beauty of Hilton Head Island as a whole was in 1982 when he learned that the SC Highway Department was going to widen U.S. Highway 278 from the bridge to Sea Pines Circle and clear-cut all the way from one end to the other. Distressed about the potential loss of dozens of magnificent oaks along the route, Ames organized a volunteer citizens group to curtail the clear-cutting effort. Ames and his group marked scores of significant trees along the route with ribbons. Their dedication so impressed the state’s road designers that the original plans were altered, resulting in the saving of the majestic oaks that we admire 36 years later as we drive the stretch of highway between Palmetto Dunes and Shelter Cove Towne Centre. 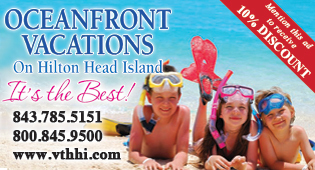 Have you ever wondered how the Sea Pines Forest Preserve came to be; or how bike trails got started on Hilton Head; or why there is Dolphin Head Playground and not elegant condominiums overlooking Port Royal Sound as the most scenic vista in Hilton Head Plantation; why there is a farm in the middle of Sea Pines; or why a bridge over Highway 278 connects the two sides of Sun City? There is one answer to all of these questions: A man named Glen McCaskey. Not often mentioned in the historic annals of Hilton Head Island and Bluffton, McCaskey is an unassuming church elder at Grace Community Church on Spanish Wells Road, who is now quietly semi-retired. Yet he had the guiding hand in all of the above and more. McCaskey arrived on Hilton Head Island in 1969, when, as he recalls, “there was not a single place you could get an ice cream cone!” Earlier that year, he had accidentally met up with Charles Fraser. Both he and Fraser were making presentations at an environmental conference at the Aspen Institute in Colorado. McCaskey, at the time, was working for the Laurence Rockefeller family in Manhattan, overseeing the promotion of several RockResorts properties they owned in the Caribbean and the U.S. West. The two took an immediate liking to each other and, fascinated by the opportunities that Fraser seemed to reveal about Hilton Head Island, McCaskey decided to forego the high-life of city living and global travel to discover a remote island in the South Carolina Lowcountry. 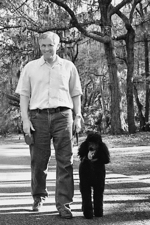 From that point forward, McCaskey and his team, which soon would include future celebrated naturalist Todd Ballantine as a young “forest ranger,” began the arduous and often dangerous task of planning the design, boardwalks and trails that have made the Forest Preserve one of Hilton Head Island’s most treasured landmarks and visited sites. The boardwalks were put in place with air guns. McCaskey recalls one long day watching islander Raymond Enslow, up to his chest in the Preserve’s Lake Joe, building the first footbridge to Fish Island with a revolver strapped around his neck while a nine-foot alligator stalked him just a few yards away. It was at this same time that McCaskey brought to life Heritage Farm as a response to Fraser’s pronouncement that McCaskey had to find solution to people growing vegetable gardens in their front yards. “The problem was that several new residents wanted to plant flower and vegetable gardens but couldn’t because of the deer population, and there were Sea Pines covenants preventing fences between homes. McCaskey came up with the idea for a community farm on land that was technically part of the Forest Preserve. An authorized fence was built, and the soil was enriched with enhanced dirt from the sewerage acreage on the opposite edge of the forest. This initial concept has been copied by hundreds of planned communities across America. One of the most vociferous debates that McCaskey encountered in his new role was at Hilton Head Plantation’s Dolphin Head, where a majority of senior officers of the company wanted to construct an elegant condominium complex that would overlook the magnificent view to Port Royal Sound, much like what was being built along the eighteenth fairway of the Harbour Town Golf Links. It was obvious that such a structure would generate substantial income, which the company needed at the time, but Fraser gave McCaskey the opportunity to convince his counterparts that leaving the land open for the entire Hilton Head Plantation population to enjoy would, in the long run, have greater benefit for the long-term value of the community. McCaskey’s experience as Captain of the College of William & Mary intercollegiate debating team won the day to the great pleasure of generations that will follow. Later in McCaskey’s career, following interludes as a two-year Christian missionary in Europe and several years as a vice president with the PR and advertising firm of Gardo, Doughtie & Rose on Hilton Head, McCaskey was vice president of community relations with Del Webb’s Sun City from 1994 to 2000. Because Sun City was situated on both sides of Highway 278, it was determined that a bridge for the residents needed to be built to get from one side to the other on golf carts and bicycles as well by car. A stop light crossing was considered far too dangerous. When unexpected delays occurred, McCaskey was tasked with seeing that the job get done, and rather than create a standard highway foot crossing, he designed a stunning span that included landscaping and carved concrete relief depicting Lowcountry scenes. It is not just men in the real estate development and construction industry who have made a significant impact on our overall community as witnessed by the changes that have occurred due to efforts, both individually and as a unit, by the advertising & PR firm of Gardo, Doughtie & Rose (now Denarius Group), which had its heyday over a 20-year span from the mid 1980s, but whose legacy will no doubt last for generations to come. Each of the three partners—Tom Gardo, Tim Doughtie and John David Rose—have left their mark, but in particular Tim Doughtie (now deceased) whose legacy can be seen (or not seen) each and every day by visitors and residents. First-time visitors to Hilton Head Island often comment about the absence of billboards once they cross the bridge from the mainland. In fact, there are just a few billboards that still remain in Beaufort County once motorists cross the county line from Jasper County. Doughtie was an extremely clever creative director for the firm, but he was even more passionate when it came to billboards and what he called “ugly signage.” Doughtie led the county-wide fight to ban the construction of new billboards being built within the borders of Beaufort County, and it was a tough battle against powerful lobbyists representing the billboard industry. 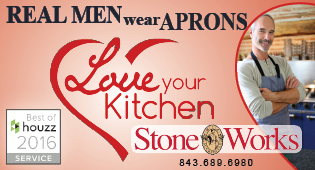 The billboards you see along the west side of Highway 170 are all in Jasper County except for the rare few that are “grandfathered” in Beaufort County. But if one of them falls down, it cannot be replaced. John David Rose (who also recently passed away) made his longstanding contribution by crafting the written legislation that resulted in the South Carolina Accommodation Tax, which is what Hilton Head Island and other vacation destinations in the state use to generate revenues, specifically to boost tourism and support the arts. Rose, who was formerly director of tourism in Utah, worked with Hilton Head Chamber board chairman John Curry and Beaufort state legislator Harriet Keyserling to get the legislation passed. Tom Gardo, in turn, has been the strategist behind the successful passage of no less than nine Beaufort County bond referendums for education, road building and land preservation, plus the Town of Hilton Head Island’s Sunday Blue Law referendum. The $60 million sales tax referendum to widen Highway 170 and the Broad River Bridge (cited as one of the 10 most dangerous highways in America in 1998) earned the agency national recognition. Other results of these successful referendums were the construction of Hilton Head Island High School and the Bluffton Parkway as well as the widening of U.S. Highway 278 and permanent preservation of more than 22,000 for parks and sanctuaries.